The State of California Department of Rehabilitation supports the employment needs of individuals with developmental disabilities through Supported Employment Programs (SEPs). These programs are available to Regional Center clients. If you or someone you know is interested in one of these programs contact your Regional Center representative for help. For a list of Regional Centers, click here. 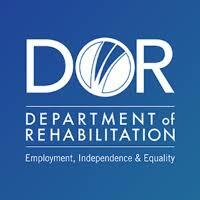 The Department of Rehabilitation offers an online job board with current job opportunities from employers who are actively seeking to hire individuals with disabilities. To view the list of Hot Jobs, click here.